Special thanks to generous contributors supporting the Homes below. Many souls were saved, childhoods are restored, thankful, happy children pray for you. 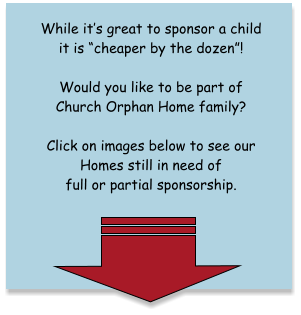 Visit Church Orphan Homes looking for sponsors. Contact us to learn how to join a kinship and become a sponsor. Warm Blankets Orphan Care Intl. is a 501(c)(3) Christian, non-profit organization recognized by the IRS. By working with other contributors and foundations that provide support for their operational cost, they make sure that 100% of your donation will go directly to our ministry. All donations are tax deductible to the extend allowed by USA tax law. 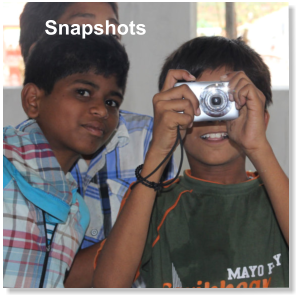 Orphans of India, is a ministry transforming India's most desperate children into Disciples of Christ and Biblically-rooted leaders among their generation. 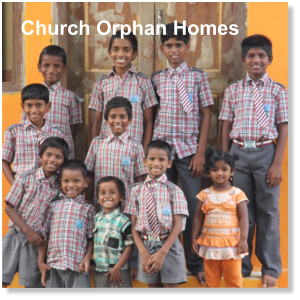 The unique Church Orphan Home model is central to our outreach. Unprivileged, vulnerable children grow within the local church, cared for by pastor and his family, in the center and under protection of local kinship. She could have been killed, trafficked, abandoned or sold, but she wasn’t. 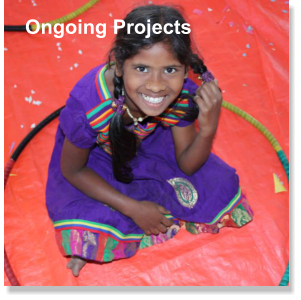 Her life was re-claimed and saved by our orphan rescue operation efforts. 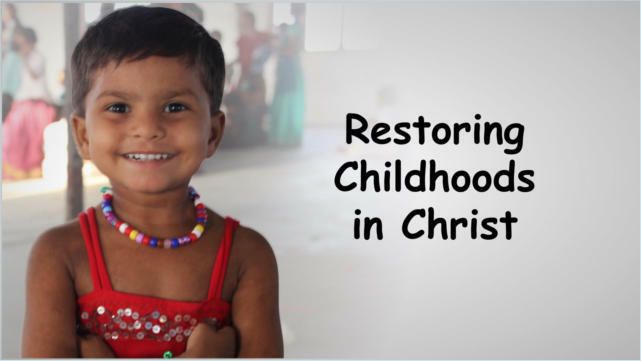 Now she lives in one of the Church Orphan Homes built throughout southern India. She’s part of family where other kids like her love, learn, play and grow in the center of local Christian congregation. Would you like to be part of such lifesaving, future shaping orphans life transformation? You can.